Before we get into the nitty-gritty of visual branding how-to’s, let’s first take a look at what branding is in the first place. Honestly? Branding is hard to pin down. What exactly IS branding? I see something happening often. One of my favorite copywriters, Neville Medhora, often points it out — the problem with focusing too much on “ME” and not on “YOU”. And by “YOU”, I’m referring to the ideal client, buyer, or reader. In copywriting, the focus should always be on the benefits before the features of your services or products. Copy is, after all, an essential part of branding. However, if you ask me, branding is about both you and those you serve, a.k.a. your audience/clients/customers etc. In short, branding is about who you are and who you serve in a way that is recognizable. Think of a brand. Nike for example. When you hear “Nike”, I’m sure certain images come to mind, am I correct? Their unique logo, the sportswear they’re well-known for. Soccer is big where I come from, so whenever I hear “Nike” I imagine Ronaldo wearing his jersey with Nike’s logo on it. I’m also Muslim, so I imagine the first Hijab (headscarf) wearing American Muslim Olympic medalist Ibtihaj Muhammad wearing Nike hijab. What I do NOT imagine is granny next door wearing Nike sneakers. Not that there’s anything wrong with Grandma wearing Nike sneakers, but it’s just not something that comes to mind when I think of Nike. And that’s because of Nike’s branding. Nike puts its logo everywhere, and it’s one of the most recognizable brands out there. Even if there is no description of what the ad is about, you see that logo and instantly, you have an image in your head that you associate with the brand name “Nike”. Now, let’s bring the concept closer to home. How about a prominent blogger such as Pat Flynn? 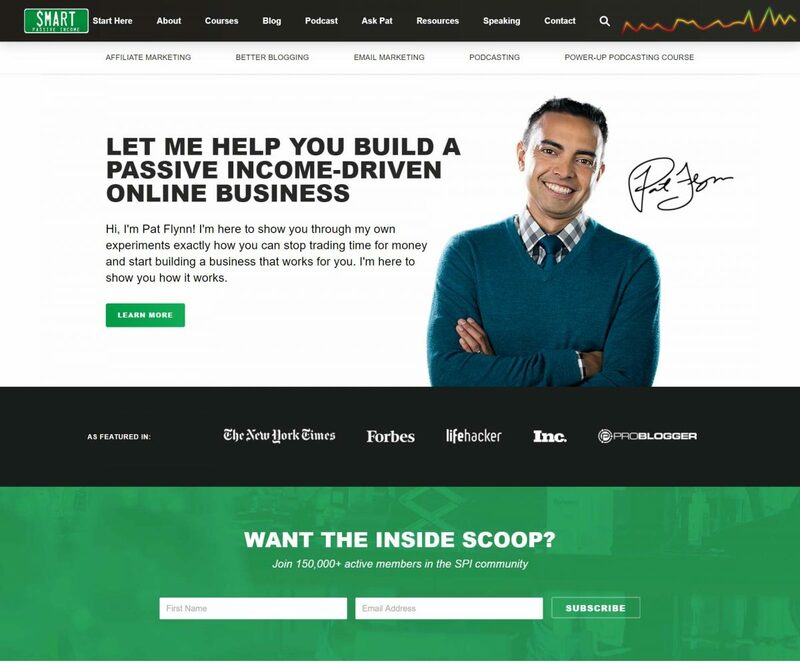 When I hear Pat Flynn, I think green (that color’s all over Pat’s website), I think “passive income” (his website is after all “Smart Passive Income” and that is also what he teaches). Now here’s what’s so smart about Pat’s branding. Green is usually associated with money, at least here in this part of the world, yeah? Do you think it’s a coincidence that Pat’s prominent brand color is green when his business is all about teaching people about making money [with passive income]? Pat Flynn’s “Smart Passive Income” has a consistent visual branding throughout the site. So, to sum it all up, branding is all the elements about you or your business that makes you recognizable. Branding is the name of your business. Branding is the quality of your products or services. Branding is your message. Branding is who your audience is. Branding is who your associates are. Branding is your logo, your website colors, your fonts, the overall vibe os your business elements such as your website, your business card (if you have one), or really, just about anything and everything that’s associated with your business. And while the visual aspects of it, such as the logo, the colors, the fonts, etc. aren’t the only aspects of branding, they’re definitely a big part of branding as a whole. Subscribe to the newsletter below for a FREE, fully customizable Brand Style Guide template made with Canva. Visual brand identity consists of the visual elements of your branding that makes you stand apart and recognizable. Your logo, the fonts and colors you use throughout your brand elements such as your website, business cards, brochures, or anything else that you may use that represents your business. For a blogger, your website is of vital importance, and so is the look and feel of your blog. Now, that’s all good to know… not a whole lot of new information there. So, how does one BEGIN to create a visual brand identity? That is exactly what we’ll talk about in the next few sections. The first step to creating a visual brand identity is to understand who you’re designing for and what you expect once people start to recognize you. Are you selling something? Products? Services? Ideas? Who are you selling to? What about you are they supposed to be attracted to? Unless you know who your audience is, you cannot serve anyone. And you can never serve everyone. It may not seem all that relevant upfront to worry about your audience when designing the visual aspect of your brand identity, but trust me, it is! For example, I know my audience is mostly women who’re thinking of starting a blog or have just started a blog. They’re pretty stressed out regarding how to navigate this thing called blogging. So, I wanted to create a visual brand that was soothing. I chose pastel for that reason, with a muted pink as the base color. Branding is about you AND your audience. This is especially true when it comes to blogging. Some newbie bloggers get too stressed out about expressing themselves in their branding and ignore their audience altogether. Good brand design is a delicate balance. A balance between representing who you are and who you serve. For example, I have two websites, and while I own both of them, and have designed both of them, had I not told you they both belong to me, you could’ve never guessed. That’s how different they are in terms of their look and feel. One of the sites is this blog right here. When I was coming up with a brand identity, I knew my audience wasn’t going to come here to learn to just replicate my blog. My readers come here to learn about good blogging and design practices that they can implement in their own blogs and businesses, where appropriate. This blog is a resource hub, not a one-stop shop for a complete, done-for-you blogging package. I knew most of my readers are new bloggers or soon to be bloggers. They are stressed, often overwhelmed, and sometimes a bit lost. So, I chose a soothing pastel color palette with a muted pick base, so that my audience will feel relaxed and even hopeful and motivated to continue to work on their blogs. 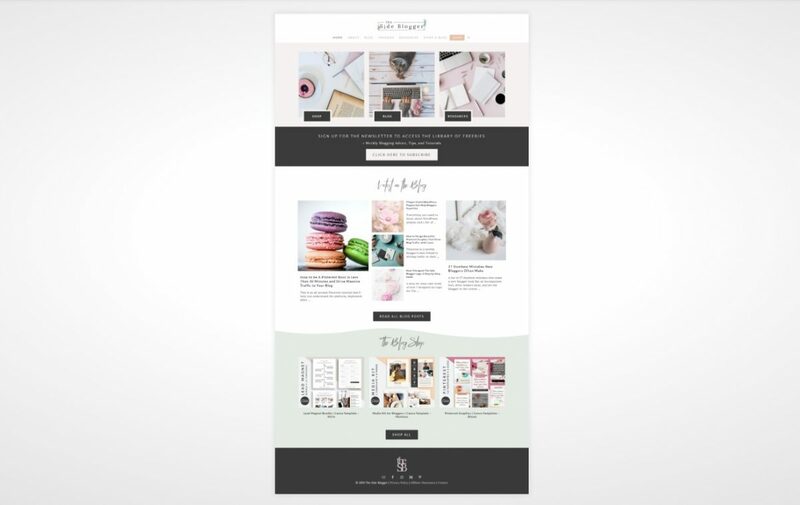 The Side Blogger has a very consistent visual branding throughout the site – mostly pastel colors with a blush pink base that uplifts, soothes, and inspires. On the other hand, my other website has a completely different feel about it. It’s a website for my photography and design work, and the idea is not to appeal to a certain demographic, but to attract specifically those who find my work intriguing. My photography is often bold and even a little weird at times. And I’ve done my best to reflect the same feel and vibe throughout the website as you can see below. 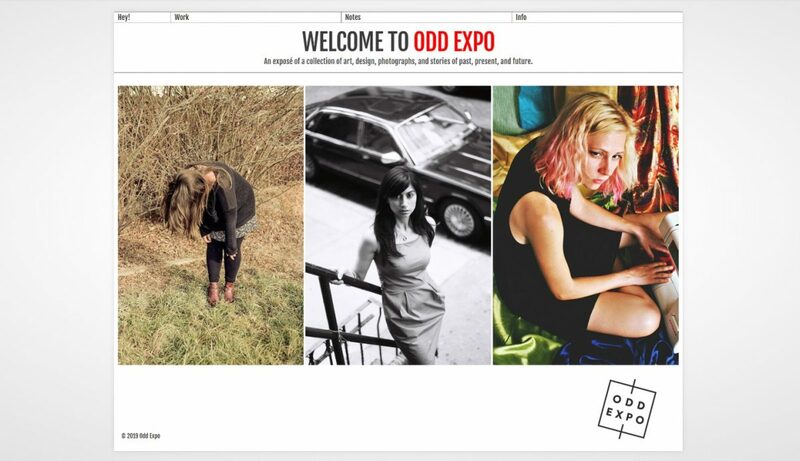 Odd Expo has a bold branding with black and red as the prominent colors. You see, in the first example (in this blog), all my design choices were based on my readers. While in the second example, the focus was myself. Names are important, aren’t they? Prior to rebranding, this blog was called “Blog to Biz”. As you can tell, I hadn’t done my research. There are a bazillion “Blog to Biz” out there and so, my chances of beating some of the other “Blog to Biz” that’ve been around for ages would’ve been mighty difficult. Because… SEO! How does a blog name relate to visual branding, you ask? Well, consider this: a blog name like “The Funky Blogger” cannot possibly have a visual branding in place that’s cool and classy and elegant. To have a certain kind of visual branding in place, the blog name itself must reciprocate the vibe you’re going for. Now, perhaps you WANT something funky. Maybe your audience is a bunch of funky weirdoes trying to learn how to start a blog. If that’s the case, then it’s a perfect blog name, and your visual branding elements should reflect that. Bold colors, quirky fonts, off-beat vibe — now that sounds like something the intended audience of a “funky blogger’ may be into. Another option for many bloggers and freelancers is to brand their name. 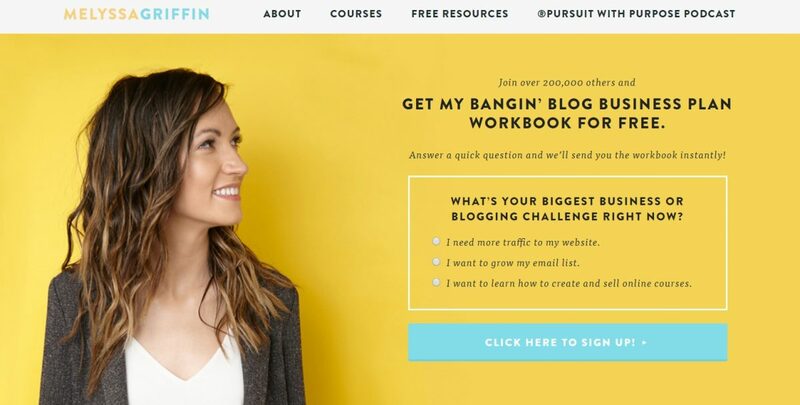 This is a great idea if you want to be the face of your blog/business. If you go this route, be prepared to let your presence show throughout your branding elements. 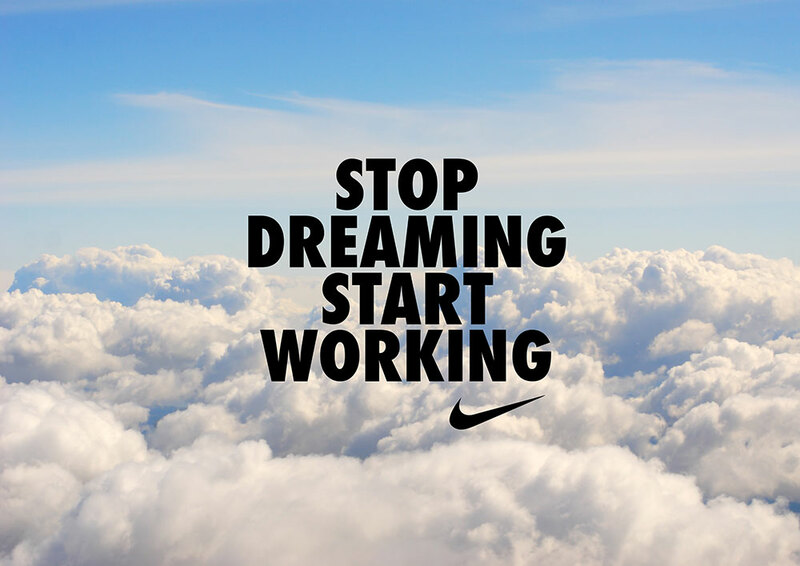 This includes social media, your content, and basically everything! The problem, if you want to call that, is if you decide to change your business model afterward. What if you decide to sell your blog or business? It’ll be much harder to do with your name splashed on everything. Do not overthink it. Many a blog and business has changed its name along the line. Is it easy? Depends on your definition of what’s easy and what’s difficult. I’ve done it. The Side Blogger started as Blog to Biz. But after a couple of months, I started to feel as though it wasn’t a correct representation of this blog. It wasn’t difficult, but it was tedious. My point is, it is possible. I’ve done it, and so have many other bloggers and business owners. If you had a gigantic corporation, I’d presume the whole thing would be more complicated. But I think it’s safe to assume that TSB readers aren’t seeking advice on building multinational companies. So yes, do not spend too long a time thinking this through. I’ve legit spoken to people who couldn’t start their blog because they couldn’t think of a name!!!!! Just chill, pick something relevant, and if your business model changes afterward, the name can change with it. Try and choose something that’s not super long. It’s difficult to design a logo when the name is too long, and it is also often difficult to remember. There are exceptions of course. Take Smart Passive Income by Pat Flynn for example. It’s kind of longish, but somehow really easy to remember. So yes, it’s not a definite no-no, but usually, shorter phrases/words are easy to remember and work with. Don’t pick anything super narrow. Almost always blogs and businesses evolve with time. You can change the name down the road, sure, but that is not the goal though, is it? The idea is to pick something that you’ll be happy with, but not sweat it so much that you cannot even start your blog or business because you haven’t found the ideal name. Think things through before finalizing a name, just don’t obsess over it. And if you must change the name down the road, then rest assured that you can. One of the hardest parts of visual branding, especially for non-designers, is picking out the right colors. Most people make a monumental mistake in this part of creating their visual brand identity (including some who go by “designers”… be careful when hiring one). One of my clients, a marketing coach, came to be after being jaded and ghosted by her previous designer. When I looked at what she had, I had to cringe. Long story short, if she hadn’t told me what she did and had I not read the copy on her site, and if someone told me that she was a dentist and not a marketing professional, I’d believe it! That’s why it’s so important to get the visual brand identity right! But I understand why it can be hard to decide on colors. When I was learning about color theory, it was easy to go down a rabbit hole on any given day and come out completely and utterly confused. Many a paper and blog posts have been written about color theory and specifically, what colors symbolize in terms of branding. What makes picking out colors even harder is because depending on your culture, the meaning, the vibe and the feel of a paricular color can vary significantly. Take the color pink for example. In North America, pink is associated with femininity. Whereas in some Eastern Asian culture, pink is associated with masculinity. This is where you see, once again, the importance of an ideal audience avatar. If you know your audience well, picking out a color becomes that much easier. Without further adieu, here I’ll attempt to give you a rundown of some basic but potent tips for picking the right colors for your blog/business. In most website and packaging designs, these three are the most important colors. I’ll focus on websites since that’s what I personally am well-versed in. Your base is the most important color. It is the dominant color and shows up the most in your blog/website. Now, exactly how this color shows up varies from one blog or website to another. In the case of The Side Blogger, the base color is pink. A muted shade of pink shows up in all pages, sometimes as the background, sometimes in images used in the posts. The accent color is the second most important color. In many ways, it’s harder to choose this color than any other color. This accent color should simultaneously display your brand’s personality AND complement the base color. Sometimes you can have two or more accent colors depending on your unique design choices. In websites, the neutral color is often used in the background. Typically this is white for most websites and blogs, or some shade of light gray. Sometimes you see black being used as the background, but be very careful when choosing black as the background. While a white (or light gray) background often lies dormant and helps bring out the base and accent colors, a black background is more dominant and it tends to overwhelm all other colors. Websites with a lot of text (such as blogs) are better off with a lighter color as the background. So, the next question is, how do you choose these colors? Start with the base. Remember, this is the dominant color in your brand identity. Ask yourself, what kind of feel and vibe you’re going for, for when your ideal audience or reader lands on your website or blog? For your convenience, I’ve compiled the feelings associated with some of the prominent colors used in creating visual brand identity. Red: Assertion, Courage, Determination, Energy, Enthusiasm, Excitement, Passion, Desire, Sexuality, Strength, Leadership, Vigor. Orange: Success, Creativity, Warmth, Health, Happiness, Fun, Determination, Sexuality, Freedom, Compassion. Yellow: Hope, Positivity, Optimism, Intellect, Clarity, Happiness, Freshness. Green: Growth, Freshness, Harmony, Safety, Ambitiousness, Money (Mostly in the North American region), Relaxation. Blue: Trust, Loyalty, Sincerity, Confidence, Stability, Faith, Intelligence, Tranquility, Calmness. Purple: Luxury, Extravagance, Power, Ambition, Wealth, Wisdom, Peace, Independence, Mysteriousness. Pink: Affection, Harmony, Inner peace, Approachability, Charming, Romantic, Tenderness, Relaxation, Acceptance, Contentment, Femininity (in some regions). Black: Power, Mysteriousness, Authority, Sophistication, Elegance, Formality, Strength, Seriousness. When you go to Canva Colors, you’re presented with a bunch of colors. Click your base color or whatever closest shade you see there. Let’s assume you picked a shade of pink. 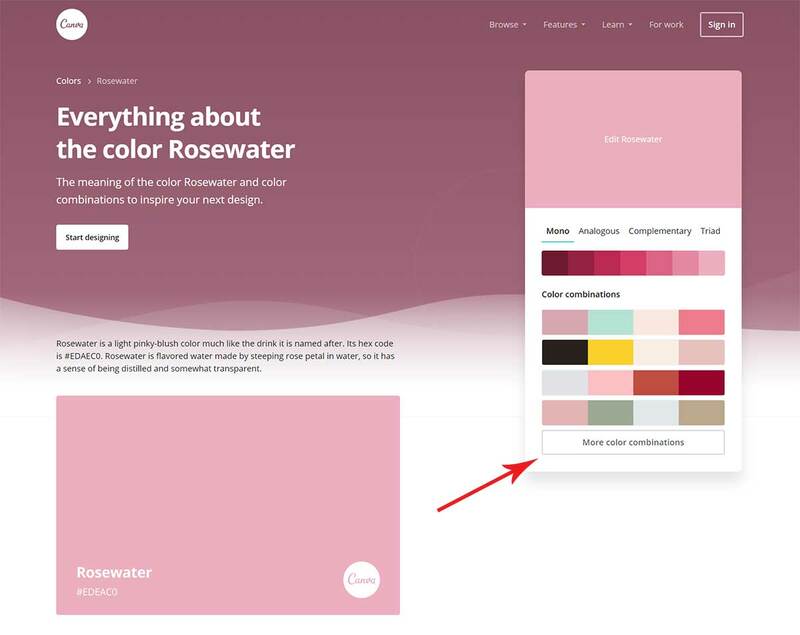 Here you can choose from more shades of the same color, and you can also click on the button that says “More color combinations” which will show you a bunch of color palettes with your choice of the pink hue as the base color. From there, pick the accent and neutral shades for your brand. To help you further with creating the perfect color palette, here’s an article from Canva to help you understand more about colors and how to come up with the perfect palette for your brand. Unless you’ve chosen black as your background, you’re likely to choose a dark color for your body text. Do NOT pick pure black as your font color. Pure black isn’t exactly the easiest color to read, especially if you have white (or a light color) background. Something that is nearly black, but not exactly black is much better. An almost black font on top of a white background is much easier to read than a pure black font. Designing a logo isn’t the easiest job on Earth. A logo says a LOT about a brand. Remember that Nike logo? It’s simple isn’t it? But just because it’s simple, doesn’t mean it was easy. A lot goes into creating a logo that’s not just pretty looking, but also functional. The function bit depends on a logo’s effectiveness. Does the logo draw in your ideal audience? Is it creating the kind of feel and vibe you want it to create? Just like picking out the right colors can be monumental, so is designing the perfect logo. But like everything else, when you’re just starting out, it’s important to start and not get stuck on creating something perfect. If you’re a beginner, remember, your blog or business will evolve. No matter what you come up with today, is likely not what you’ll continue to use a year from now or two years from now. Sometimes, something simple is the way to go. Take Melyssa Griffin’s logo for example. Nothing fancy. She just used her brand font and her brand colors to create a simple type based logo. Nothing fancy, but guess what? It works! Melyssa Griffin has a simple type-based logo. Nothing complicated, but still right on brand! I stress on type-based logos for non-designers DIY-ing their logo because a LOT goes into designing a logo. So, unless you’re a pro with solid understanding of how branding works, the psychology behind shapes and such, you’re better of sticking to something type-based because they’re by far the easiest to create. When I say easy, well, let’s say that I mean it’s easier. Even for Melyssa’s “simple” logo, I’m sure there was a lot of brainstorming involved. Take the fact that there is no space between the first and the last name, and instead, by using two different colors, she has created an optical illusion of a separation of the two names. It takes a lot of practice and a fair amount of technical know-how to create a professional logo. So, my advice is that even if you’re doing your own branding, at least for the logo, hire a professional. DO NOT attempt to design a logo unless you’ve had prior experience NOR should you do something quick with Canva. I absolutely adore Canva, but it’s NOT for logos. So yeah, stay away from it. Now, if you’re on a tight budget and are unable to hire professional services, just go with a simple text-based logo, like Melyssa’s. As you and your blog grow, you can either learn to create meaningful logos, or hire a graphic designer to create one for you. And if you MUST, in this blog post about how I designed The Side Blogger logo, I’ve laid out all the steps I took to create the logo for TSB. Feel free to check it out if you need inspiration or some hand-holding through the technical bits. Pro-tip: It’s advised that you create two logos. One regular logo, and another small logo, typically used as an icon, wherever icons are necessary; such as a favicon. What does a blogger do? Well, traditionally, a blogger writes. Who is a blogger’s audience? Those who read. So, when it comes to branding and choosing the right fonts, pick a font that’s easy to read. Take care of that, and more than half of your branding conundrum’s been taken care of. The most important part of your visual branding has to do with the body text. Yes, it’s not the logo, nor the colors you choose. It’s the font you choose for the body text. So, choose wisely. No reason to get all fancy with it either. In fact, I’d say that you should stay away from all things fancy when it comes to choosing the body font. Pick something easily readable and non-obtrusive. The reader must have an easy time reading without getting distracted by your choice of font. Your body font should never be a script font. Stay away from system fonts (Times New Roman, for example). Consult Fontpair if you need some inspiration. Never use any more than 3 fonts on your blog/website. 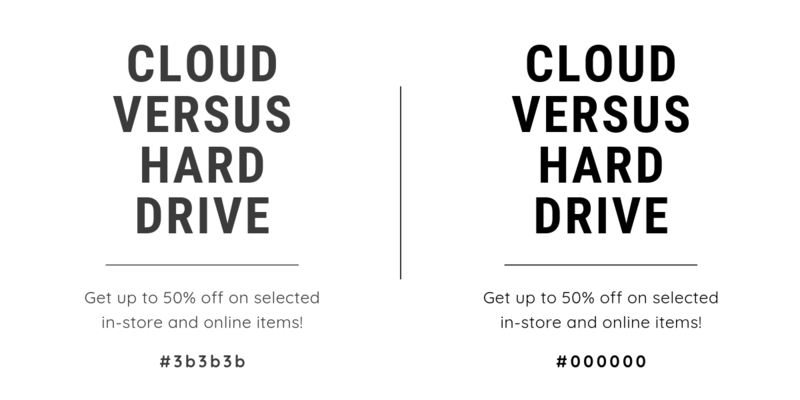 Two fonts are sufficient, and even just one good font is better than using more fonts that don’t compliment one another. You can always play with font weight, letter spacing, and font styles of just one type to create variations. Use a script font only for special cases. If unsure, leave it out altogether. Again, your body font is THE most important element of your visual branding. To make sure you’ve picked the right one, type up a paragraph with your chosen font, and then read it yourself. Does it take away your focus from the content of what you’re reading? If so, leave it and move onto the next font. Also, make your font size easier to read. If your reader has to squint their eyes to read your posts, trust me, they won’t bother. For most website uses, a font size of at least 15px or larger is ideal for the body text. The goal is to get your readers to keep reading. If your choice of font takes away from the reading experience, it’s not the right font. A style guide is very useful. You put all the important elements in one place, typically a single piece of graphic. This helps you get a bigger picture of your overall feel and vibe and you can use that to make sure you’re on track while designing individual pieces of your brand identity. 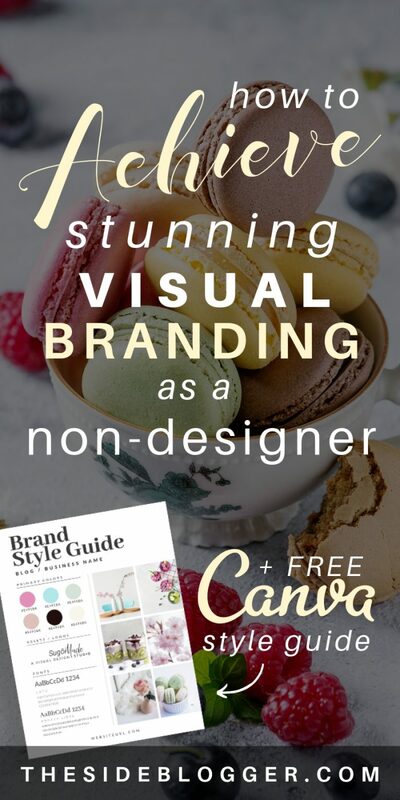 A style guide has a few key elements: the logo(s), the fonts, the colors, and I also suggest adding a few images that you think go along well with your brand style. This will help you curate content in the future. 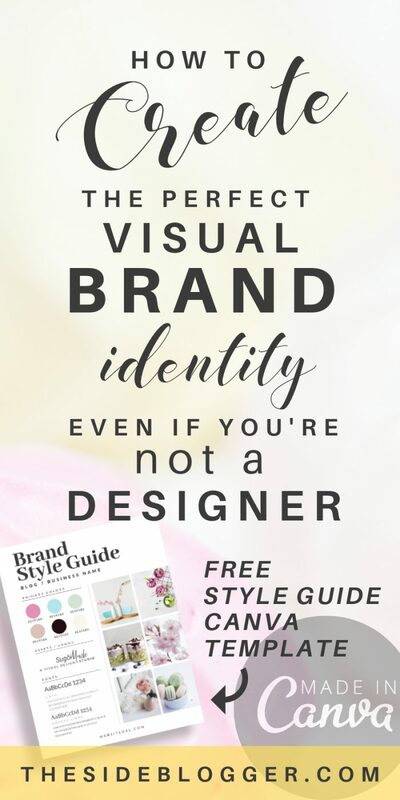 Whether you’re creating graphics for your blog posts and social media/Pinterest accounts, or media/press kits for brands and companies you wish to work with, this style guide is something you will continue to come back to over and over again. So, spend some time putting it together. 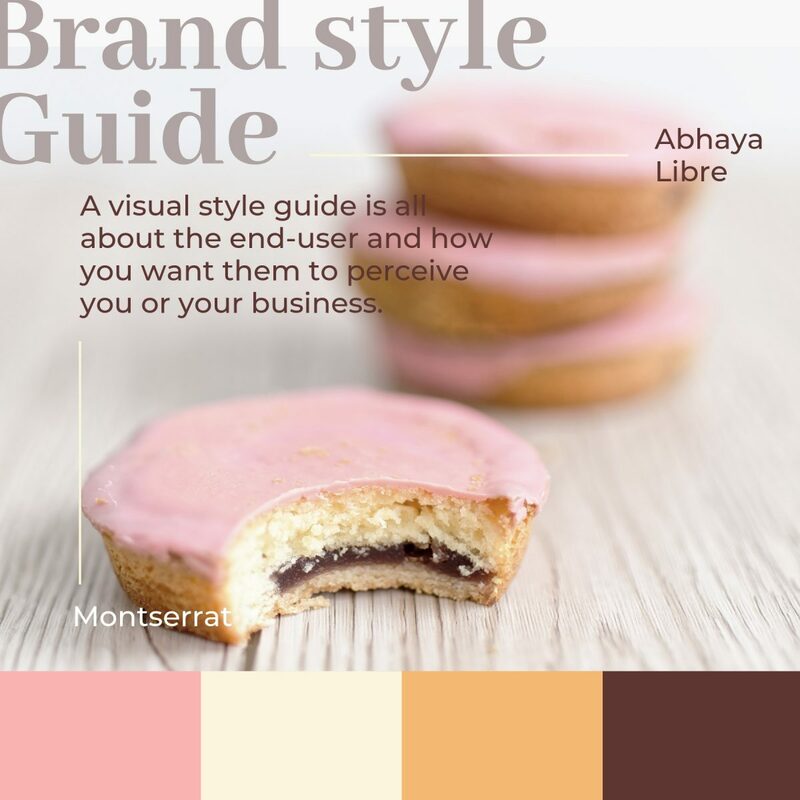 Over time when you’re able to hire professional help (whether to design an actual logo or supporting marketing materials or graphics), you can just give your designer this style guide to help them understand your brand identity. 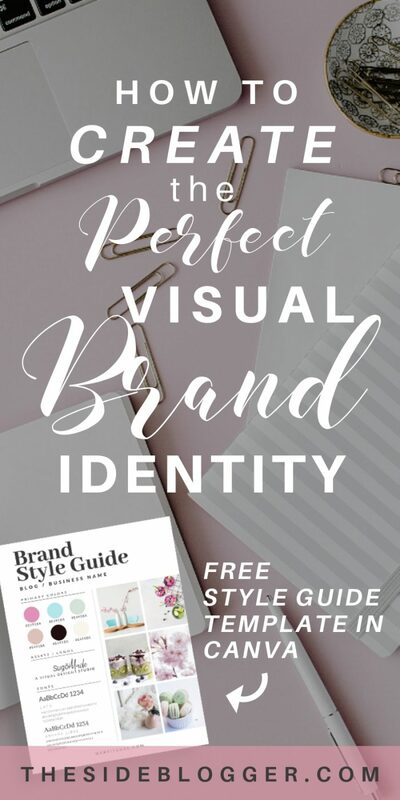 Consistency in style for everything associated with your blog is one aspect of branding, and a brand style guide can help you keep yourself in check. Update this style guide as needed as your blog grows in size and scope. Here’s a FREE Brand Style Guide template made with Canva. It is fully customizable and has all the elements of a brand identity. All you need to do is change out the images, the fonts, and the colors to match your own, unique brand identity. Simply sign up for my newsletter, and the style guide template is yours! 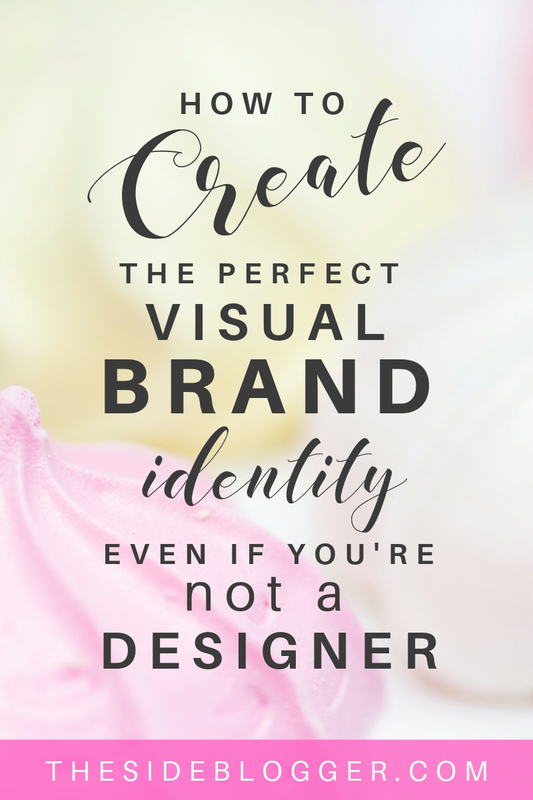 Hopefully, this will give you a headstart when creating a visual brand identity for your blog or business. Do you have any specific question or concern about visual branding? Please let me know in the comments below. How can I improve my personal brand? Great question, John. Maybe I’ll attempt to write a post about it one of these days. But in the meantime, check out Neil Patel’s post on this very topic that I’ve found to be helpful. Just Google “Personal Branding Neil Patel” and it should come up. Good luck!